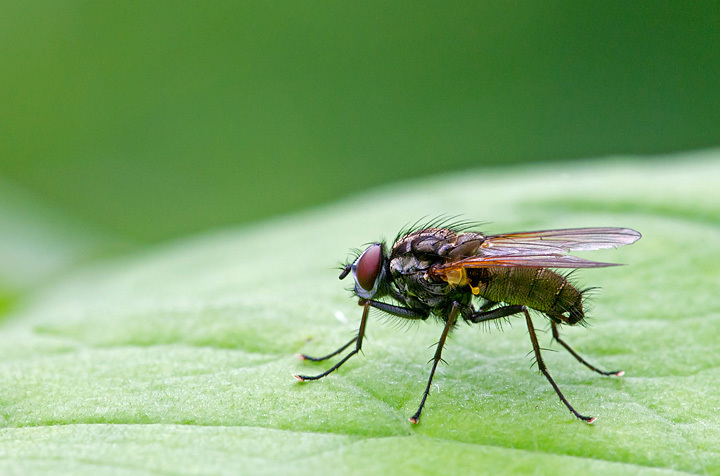 Dusting off the macro lens. 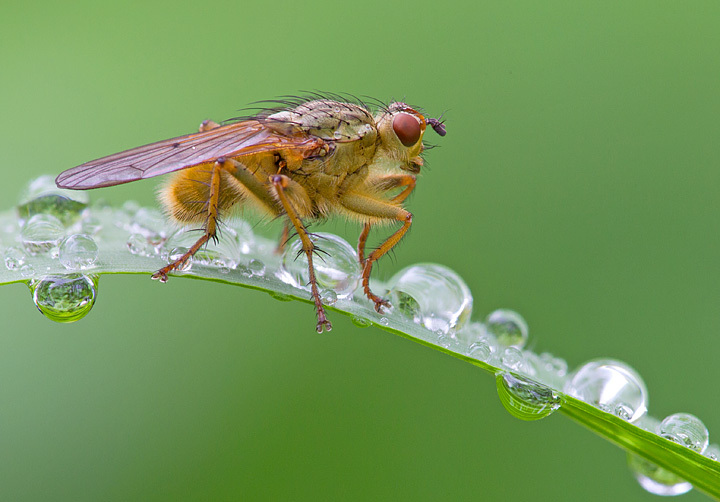 Over the last week or two we’ve had rather alot of damp,dull days and so I thought I’d dust off the macro lens and see what I could find to photograph.On duller,cooler days the insects are less active and hopefully more approachable,although sometimes more difficult to find as they nestle down in the undergrowth. 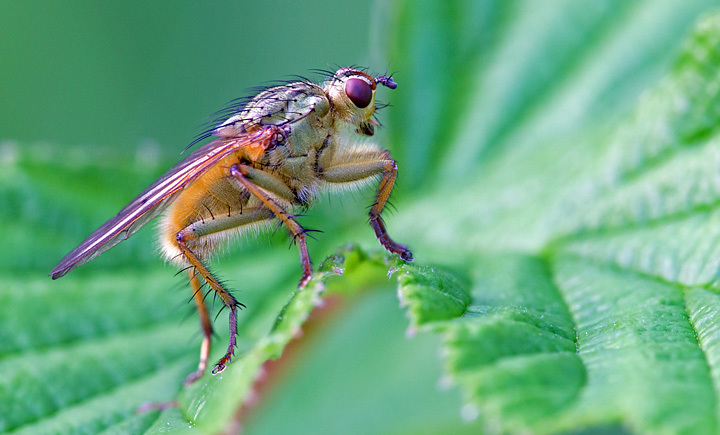 So as Ollie and I walk along the river bank,our eyes are peeled, looking for creepy crawlies in the vegetation next to us,we enter a whole new world.I say we,but in actual fact Ollie is just charging about through the grasses as normal,dislodging my potential photographic subjects in all directions.’But hey,it is his walk and I do manage to find the odd insect or two’.At least that’s how he answers me when I tell him for the umpteenth time to be more careful where he’s going. 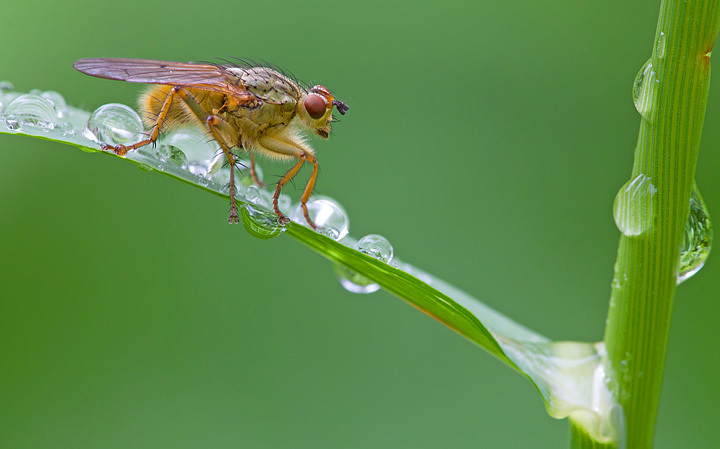 Yellow dung fly sat on a raindrop laden blade of grass. 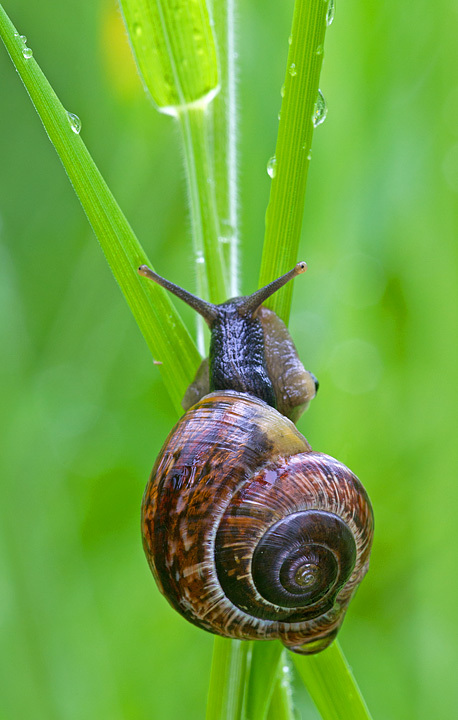 If it’s wet,there’s gonna be a snail or two about. 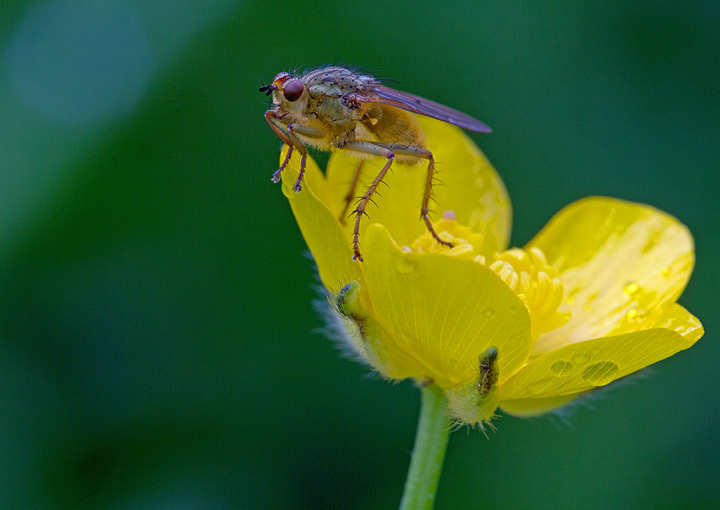 Yellow dung fly on buttercup. 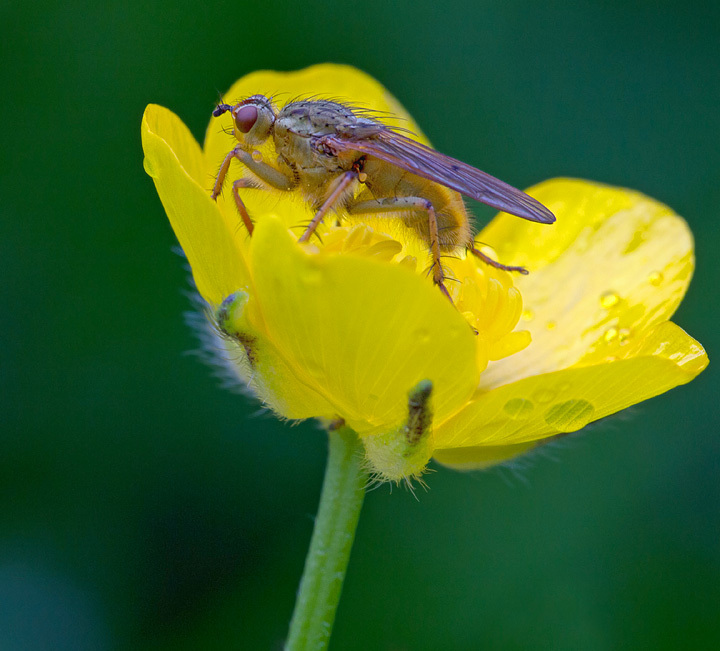 Yellow dung fly.Such a pretty name! 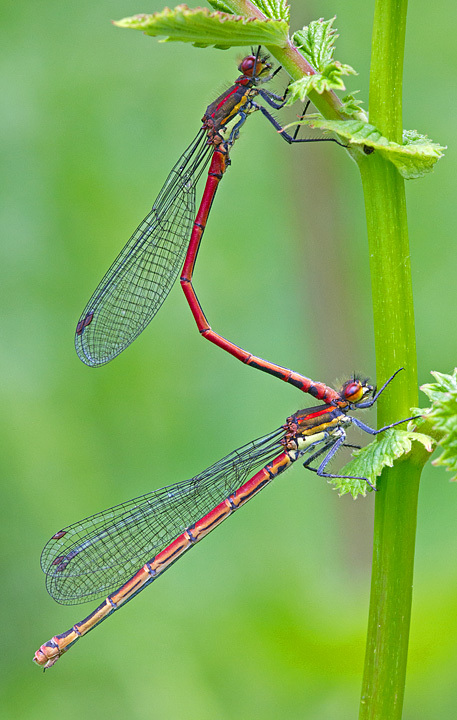 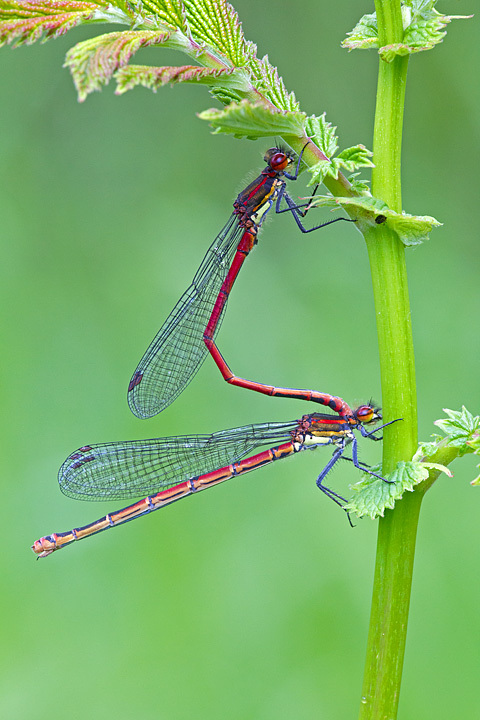 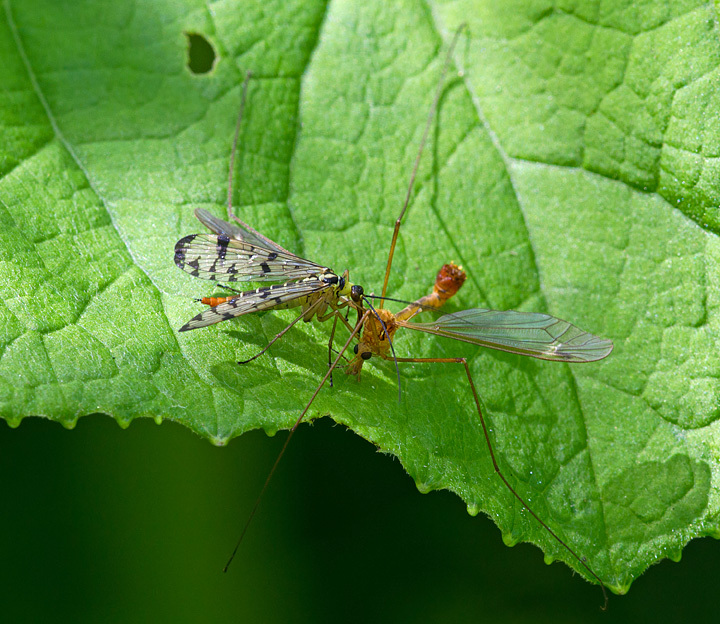 Large Red Damselflies paired,prior to mating.